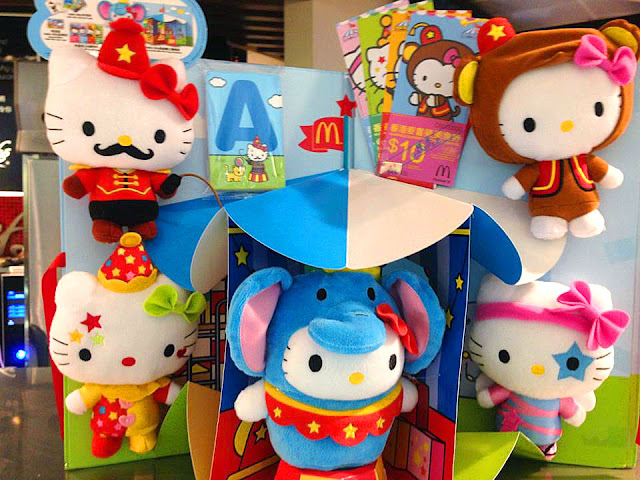 Freemium Travel: Cruising in Asia: Hong Kong - Grand Hyatt, 10 McDonalds, and More Hello Kitty! This was our first time in Hong Kong and we had debated over staying at the Grand Hyatt or the Hyatt Regency TST. 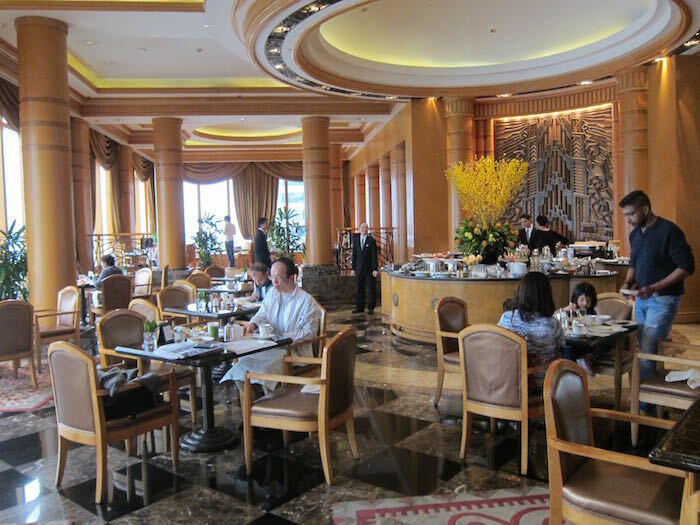 We ended up choosing the Grand Hyatt because it was only a few thousand more points per night and because I had heard such good reviews of the club lounge. Expecting full well that I would only be a Hyatt Diamond for 60 days with little chance of completing the challenge, I also wanted to get the most out of the Diamond Trial (which at the time I thought would be a once per lifetime trial, but more on that later). Arriving at the hotel was easy and check-in was quite quick. I recall that we had booked a Grand King, but were upgraded somewhat to a Harbor View Grand King on the 32nd floor and given access to the Grand Club. As we were not actually in a club room, We had to take an elevator down 1 floor to enter the club on the 31st floor. Looking back now 3 years at these pictures, I have to laugh at how poorly/hastily they were shot and framed. They should still give you an idea of how "Grand" the building is. The room was laid out to maximize the view from any point you were sitting or laying, but wow it got hot when the sun was going down. I had let the hotel know we were celebrating our Anniversary (a bit late, but close enough!). and they had sent up a bottle of champagne and strawberries. I have to agree with some other reviews, that while luxurious, the bathrooms are a bit gaudy with the black marble and gold fixtures, but definitely nothing to complain about. The best part of the room was the view of course. We could see the Sun Princess we arrived on docked across the harbor. We even watched it sail away the next day on its way to Singapore. My favorite part of the hotel though, definitely the grand club. 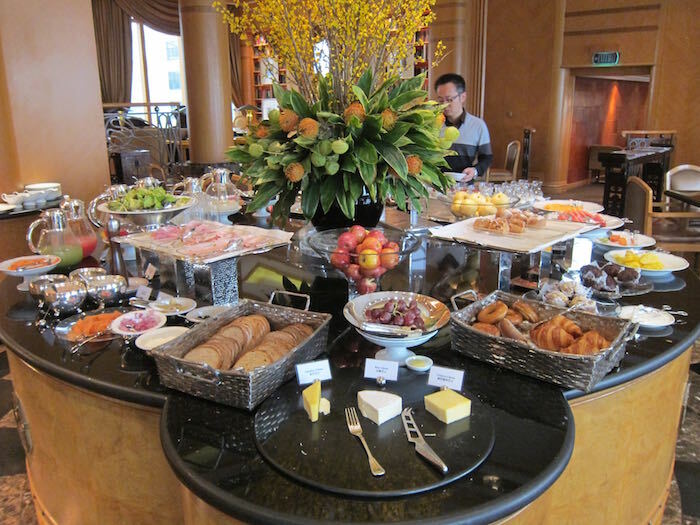 Somehow I only have one actual photo from the lounge with a plate of dim sum breakfast, I will have borrow from some other traveler's photos here to give you a better idea. Also, since our stay here, the grand club has undergone a major renovation which you can check out in another review here. The breakfast and evening food offerings were plentiful to the point that we ate nearly all our meals here. The rest of the time, not entirely by choice, we ended up eating at McDonald's. Why would we do that??? It actually had nothing to do with the food, we really are not big fans of McDonald's at all. It just happened to be that the dates we were in Hong Kong lined up perfectly with a promotion that was running at all the McDonald's in Hong Kong. We just happened to notice Hello Kitty plastered all over the windows of one of the restaurants and we had to go in to check it out. 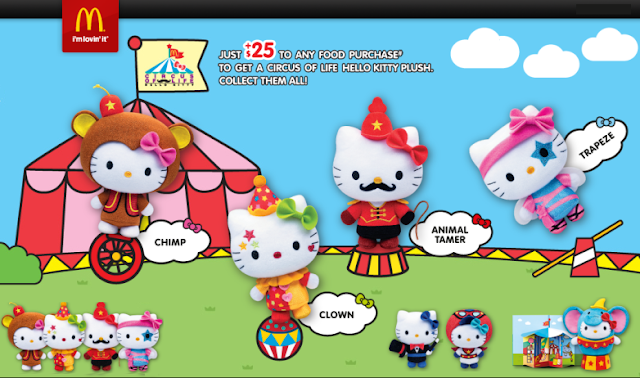 Each of the restaurants was selling special edition Hello Kitty plush dolls for 25hkd (~3usd) IF you bought any food item. So, needless to say, we bought a lot of food items, even some we didn't eat! The trick to this whole thing of course was that each restaurant only had 1 of the 4 individual items, and if you could find it in stock, a 5 piece set that came with an additional limited edition! It turns out there are quite a few McDonald's in the city that you can easily walk to. Seriously, look at this map of locations in Hong Kong. Within two days we had visited 10 McDonalds, and picked up entirely too many Hello Kitties, that still are in the bags they came in! How Cute are these though!? Luckily, as a break from all the McDonald's we did find time to have High Tea at the Peninsula Hotel in TST. While a bit expensive at ~$70 for two people for tea and pastries, it was a fun experience. We did show up about 30 minutes early as the line was about 100 people long by the time afternoon service started. I would do it again if we had more time, but on a 2 day stopover, I would probably not give up valuable time waiting in line for tea.